After months of struggling to get Tablo to work in my environment, I’m moving on to the Plex live TV/DVR system and selling my Tablo 4-Tuner DVR. 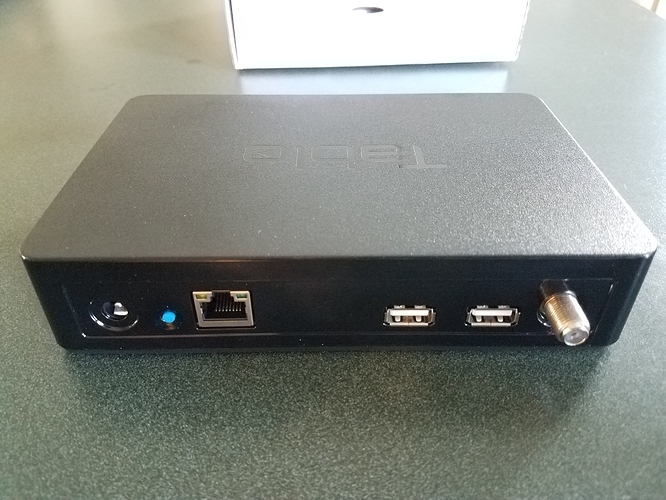 Note that this is the previous “4-Tuner Over-The-Air DVR”, not the new “QUAD Over-The-Air DVR”. The sale includes the Tablo and my lifetime guide data subscription. Further, my account is grandfathered, so the buyer will be able to add additional Tablos under the original lifetime subscription. Tablo Support has confirmed that they will transfer my entire account, perks included, to the new owner. 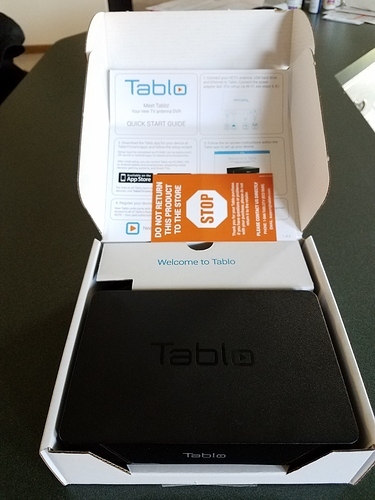 While I originally purchased my Tablo in March 2018, this is a brand new unit that they sent me last month to make sure that I didn’t have a defective unit. 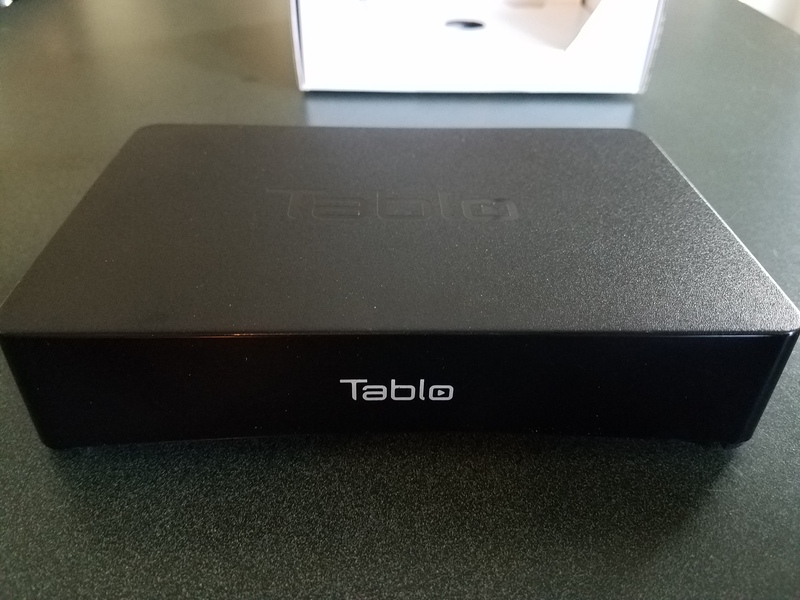 My problems persisted, confirming that the Tablo (old and new) is not defective, just not compatible with some sort of interference in my home. Therefore, this unit carries the bulk of its one-year warranty, which is good until March 20, 2020. The sale DOES NOT include a hard drive. $150 (full price) for the lifetime guide subscription (good for multiple Tablos) and $80 for the Tablo for a total of $230 shipped anywhere in the continental U.S. Obviously, the value of this is greatest for somebody who has a desire to use multiple Tablos but missed last month’s cutoff for the grandfathered account status. For anybody just looking for one Tablo and lifetime guide, this is an essentially new 4-tuner unit for less than half price. Payment by PayPal is fine, but you can also snail-mail me a money order if that’s your preference. Photos below. Private message me if you’re interested. 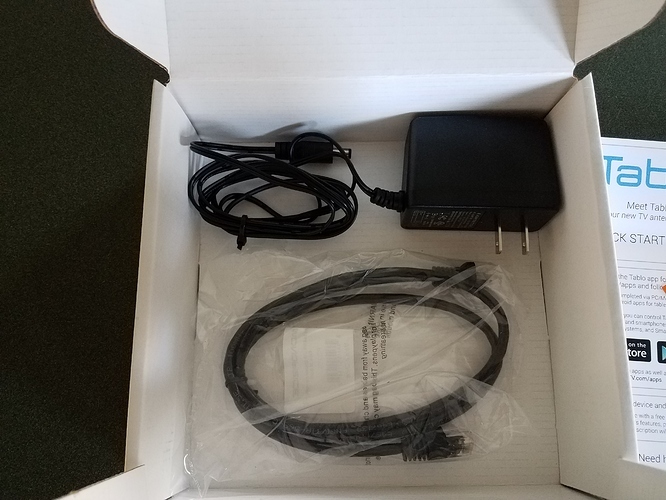 Just chiming in to say this is a great deal for someone who doesn’t really NEED the new Quad but wants 4 tuners, especially like you mentioned someone who may want to add a second, concurrent use unit in the future. There are lots of us still using the OG 4-tuner so support for it isn’t going away anytime soon. another chime… you can’t subscription isn’t “good for as many Tablos as you want to add” well, as long as you don’t want to add more than 10 as I recall. $25 price drop to $240 shipped. Click on the @ mention you just did and hit ‘MESSAGE’. @TabloTV, I looked there and on the full profile page, but I see that message string on neither. I’ve attached a screen-shot. Ah, you may need to wait a day or so because you just joined. Yes, it’s still available. Boxed up and ready to ship. It looks like I can message you, so I’ll do that.